​After weeks of military campaign against south-eastern regions rejecting Kiev government, which resulted in hundreds of civilian deaths, the Ukrainian President has announced a 14-point peace plan to deescalate tensions and asked Russia for support. The new leader highlighted the need to amend the constitution, a presidential press release reads, to decentralize the powers of the state. “The President voluntarily renounces the ability to appoint governors and heads of regional state administrations,” and has agreed to hold early local elections, the presidential press service said. 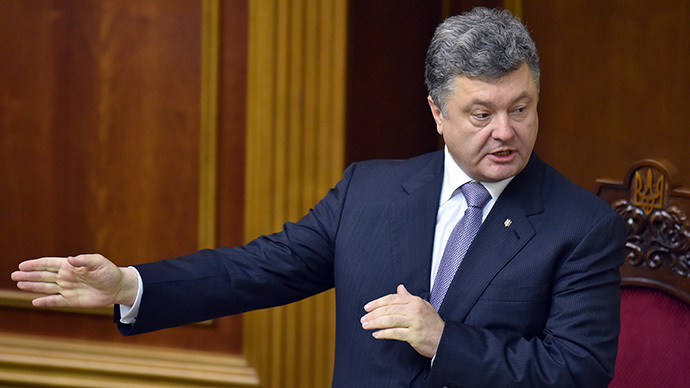 Poroshenko noted that the relevant draft amendments of the law will be sent to the Venice Commission. “Our goal is not war, our goal is peace,” he stressed. “On Friday, June 20, the President will announce his peace plan, which today consists of 14 political points, but maybe after today's meeting another 1-2 points will be added,”Irina Gerashchenko, charged with negotiating a settlement on behalf of Kiev with Donetsk and Lugansk regions, told RBK-Ukraine. Poroshenko also promised, RIA Novosti reports, to declare amnesty so that local self-defense fighters can lay down their arms and, if they wish, leave Ukraine. Yet he has ruled out the possibility of negotiations with representatives of Lugansk and Donetsk People's Republics. Military operations in the south-east of Ukraine still continue. “There is a clear position to negotiate only with those who are willing to share the president's peace plan,”Gerashchenko said. Since Wednesday when Poroshenko first spoke about a ceasefire plan, the shelling of the eastern cities by the government troops has not eased much. Slavyansk and Kramatorsk as well as surrounding areas are continuously being shelled by the Ukrainian artillery. 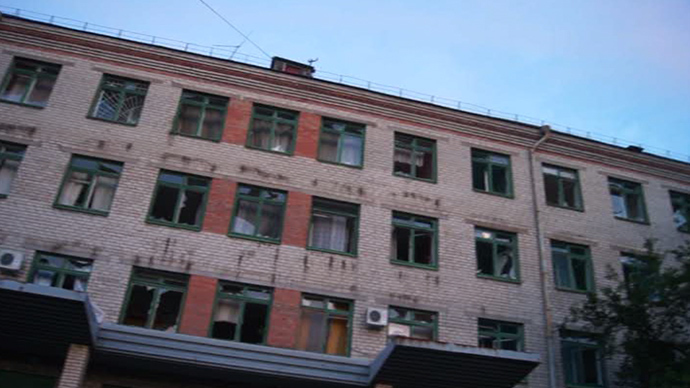 The latest reports indicate that at least four civilians and one child received critical wounds in Slavyansk, a source from the city told Itar-Tass. The Ukrainian military confirmed the deaths of four soldiers in Slavyansk, saying that 20 others were injured, Vladislav Seleznev, member of the National Guard press service posted on his Facebook page. “On the outskirts of Slavyansk artillery was on Yampol village. There were only militia there, armed with carbines, about 30 people. They all retreated to Slavyansk. Throughout the day, there were shots fired. Ukrainian forces are tightening the grip around the city,” press service of DPR reported, claiming Grad rocket launchers are encircling the city. DPR also stressed that Ukrainian forces violated the announced unilateral ceasefire. 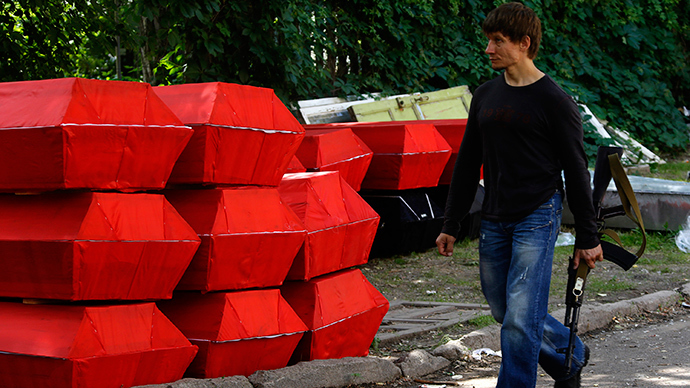 “Yesterday, they announced a cease-fire, and at 4 o'clock in the morning the assault began on Slavyansk and Kramatorsk.” At least one person is believed to have died in that shelling. 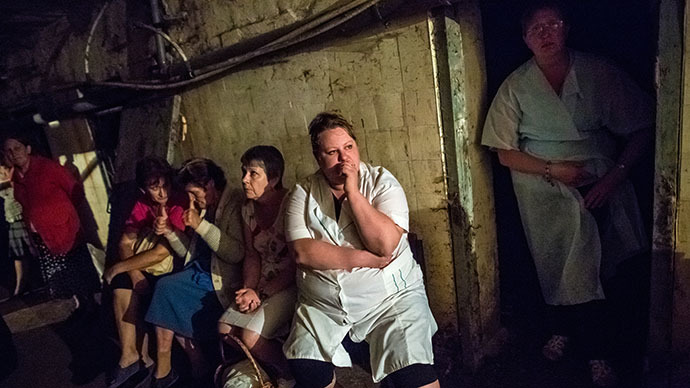 At the same time, the humanitarian crisis in the eastern Ukrainian city of Slavyansk is worsening by day by day, amid disruption of water supplies and electricity, while emergency medical aid is unavailable due to gas shortages as fighting continues in some areas. 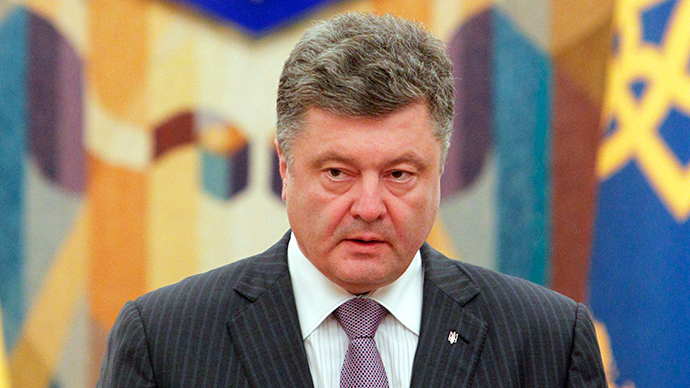 After the announcement of the 14-point plan, Poroshenko called Russian President Vladimir Putin. “President outlined the key positions and schedule for implementing the peace plan on the situation in the east of the country ... The Ukrainian leader said that ... he relies on the support[Russia]of the peace plan,”Ukrainian side said in a press release. The Russian leader has stressed the urgent need to stop the military operation in south-eastern Ukraine “in order to achieve a viable solution to the conflict” was the priority, his spokesperson Dmitry Peskov told Itar-Tass.